Planning a trip to Dubai? Then you must visit the desert because if you haven’t been to the desert in Dubai, you haven’t seen Dubai. The desert is one of the places worth visiting. And it should be on your must-see list. Nothing can be more splendid than watching the riveting sunset across the endless sand followed by starry night. There are skilled drivers who can take you to the beautiful sand dunes. Items like furniture and traditional tents will be provided there. You can pick your own choice of amusement on this tour of desert safari in Dubai. 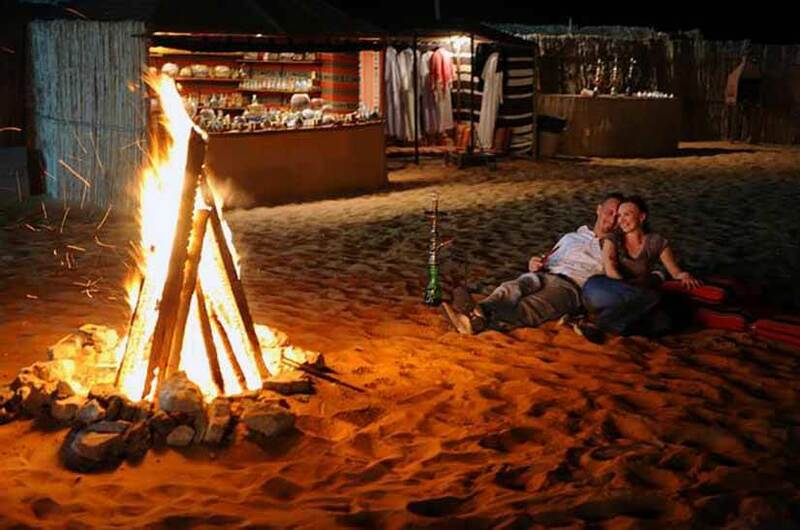 You can go for a camel ride, or simply relax by the fire or enjoy the dance of the beautiful belly dancers. It is a completely unique feeling as compared to normal road trips because this time your safari will be traveling through sand dunes. Our tempting deals will ful fill your need for thrills and adventures that too at a nominal rate. If you are looking for some adventures, then you can enjoy several other activities like riding a quad bike,sand surfing, and dune bashing. You will get a chance to explore the Arabic culture letting one of the professionals apply amazing henna tattoos. In the dusk, you will be served with delightful feast followed by our professional fire throwers. It will be a day of great energy and roaring engine motors as you ride through the silky Dubai sand. So what are you waiting for bring your friends and family along with you to enrich the experience and create a memory worth remembering.